Inclusive Leadership Co-operative 2017/18 Action Plan! 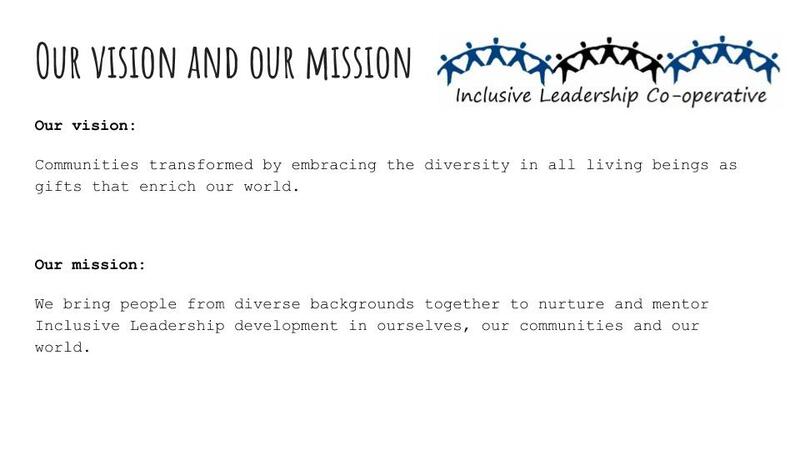 The members of the Inclusive Leadership Co-operative collaboratively created this visionary action plan for Fall 2017 to Fall 2018. Do you share our vision? We warmly invite you to become involved and be part of the magic. This entry was posted in Cooperative Movement, Inclusive Leader Campaign, Inclusive Leaders in Action on October 5, 2017 by lindadianahill.